On October 20, 1943, an navy SNJ-4 Texan trainer aircraft, (Bu. No. 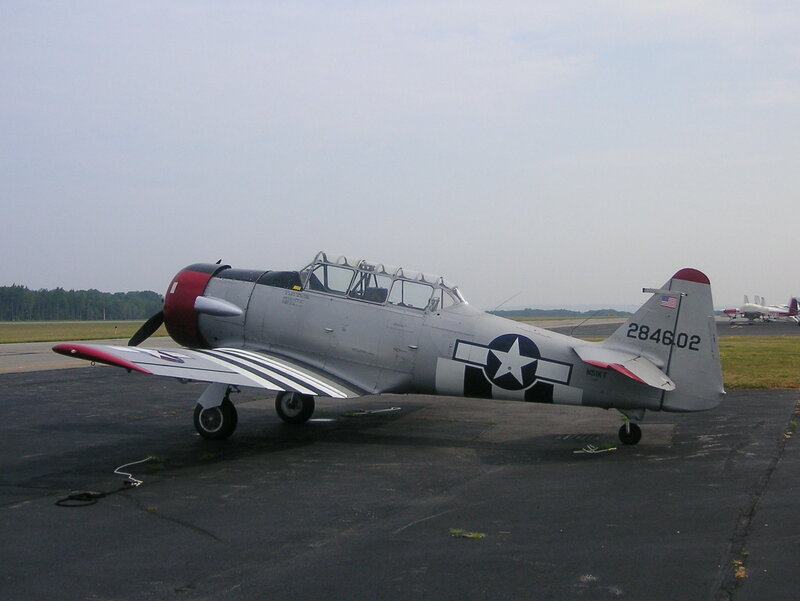 27815), landed at the Quonset Point Naval Air Station and as it was taxiing off the runway to an airplane parking area it collided with a parked tractor causing significant damage to the aircraft requiring a major overhaul. The pilot and instructor aboard were not injured. The aircraft was assigned to VS-33. Source: U. S. Navy accident report dated October 20, 1943.